​The Philadelphia Phillies have added more players to the trade block this winter. Alongside first baseman ​Carlos Santana, MLB insider Jon Heyman is reporting that the team is making some relief pitchers available. 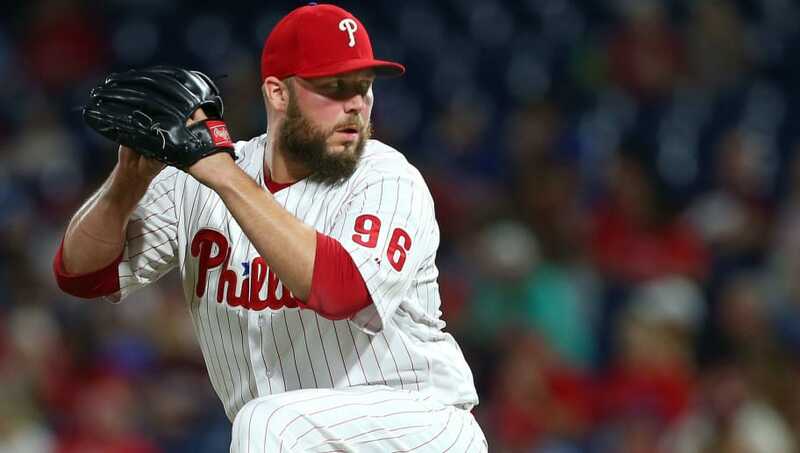 Tommy Hunter and Pat Neshek could be on the move before next season. Both relievers had solid 2018 campaigns, as Hunter finished with a 3.80 ERA in 65 games and the veteran Neshek finished with a 2.59 ERA in 30 games. ​​Heyman mentioned that the timing of the pitchers being made available is not the best since there are a good amount of relievers on the open market such as Craig Kimbrel, Andrew Miller, Zach Britton and David Robertson. As for Santana, the reason that the ​Phillies put him on the block is because they have hopes of moving Rhys Hoskins to first base. Perhaps the reasoning for wanting to trade Hunter and Neshek is because they're selling high on them and are looking to gain value elsewhere on the roster. Either way, it sure looks like the Phillies are going to be very active this offseason.